The elevation of Knoll Lake is about 7,400 feet. 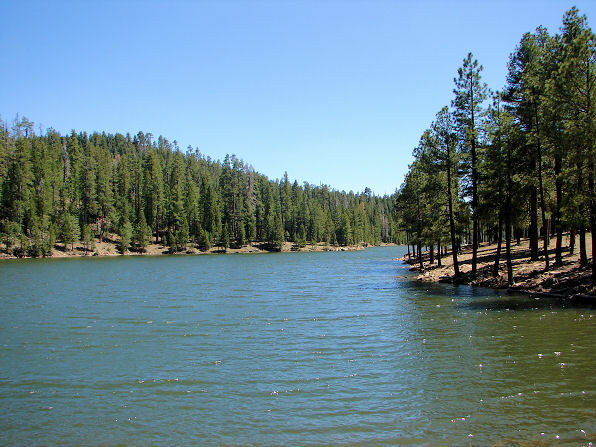 Surrounded by Ponderosa Pine, Oak and Douglas Fir, Knoll Lake features a scenic forest setting in which to enjoy canoeing, small boating, fishing or just soaking-up its serene beauty. 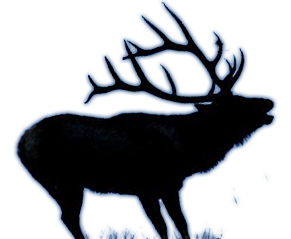 Lake Size. The water surface is 75 acres and is about 50 feet deep. Fish Variety. Rainbow Trout, Brown Trout and Brook Trout. Boating. Boat motors are restricted to electric motors only. Camping, Hiking & Amenities. The Knoll Lake Campground includes 33 single unit camping sites with picnic tables, fire rings, cooking grills, drinking water, vault toilets and a boat ramp. Tents, small motor homes and trailers under 32 feet are permitted. Camping sites are fee-based at $12 per vehicle, per night and fees are subject to change without notice. There is 14 day stay limit. Horses are not permitted and off-road vehicles may only be used to enter or leave the campsite area. Pets are permitted but must always be restrained or on leash. The concessionaire for the Rim Lakes Recreation Area which includes Knoll Lake Campground is located at the Canyon Point Campground and will be glad to answer questions. Call (928) 535-9233 between 6:00 AM to 10:00 PM. The season is Memorial Day through October, weather permitting. From Lazy L. Take Highway 260 to Forest Road 300 (Rim Road). Take Rim Road to Forest Road 295E and turn right (north) and drive to Knoll Lake.